When the bacteriologist studying Staphylococcus in 1928 returned from a two-week vacation and discovered a mold had contaminated his cultures, he had no intention of inventing penicillin. Nor did a researcher trying to record heart sounds through an oscillator know he’d give the world its first pacemaker. By chance, testing electrical currents on cell growth gave us a chemotherapy drug. Sometimes, chance has a dark sense of humor: Instead of a cure for malaria, we have synthetic dye; instead of a drug to treat angina, we have Viagra. This is the cruel paradox of scientific research: While most discoveries require years of work, grueling hours, painstaking notations, and dead ends, every once in a while, history coughs up its most significant breakthroughs completely by accident. Now, because of a cancer biologist’s research into a particularly devastating form of cancer, we might have the key to curing baldness. 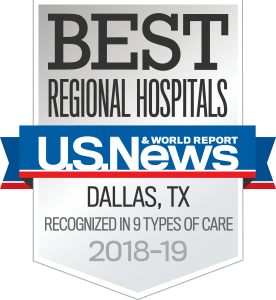 At Dr. Lu Le’s unique Neurofibromatosis Type 1(NF1) lab at the University of Texas Southwestern Medical Center — the nucleus of an ever-expanding field of research unearthing the microenvironment and origin cells of tumors — something strange started happening to the mice. Le is a physician-scientist. While he runs the NF1 laboratory, he also treats patients suffering from the disease’s idiosyncratic skin and nerve tumors, which are painful and disfiguring. The tumors can be huge, sometimes causing immobility. The disease affects one in 3,000 people. Le manages the tumors with the unique insight he gleans from his research, and they in turn feed that research, opening new doors and new lines of questioning. WHY OUR HAIR TURNS GREY: Stem cell factor activity is reduced in Krox-20 cells. But one day in the lab, Le and his fellow, Dr. Chung-Ping Liao, found themselves looking at his mice, puzzled. Their fur was turning gray. 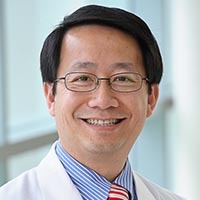 Le had been exploring the expression of Krox-20, a gene that controls nervous system development, thinking it might have a mitigating effect on the tumors. But he had stumbled upon something else: Krox-20 also turns on in skin cells that make hair. When he decreased the activity of a protein called stem cell factor in Krox-20 cells, the mouse’s fur would turn gray. When he removed the Krox-20-producing cells, no hair would grow. After testing his findings, the realization set in. 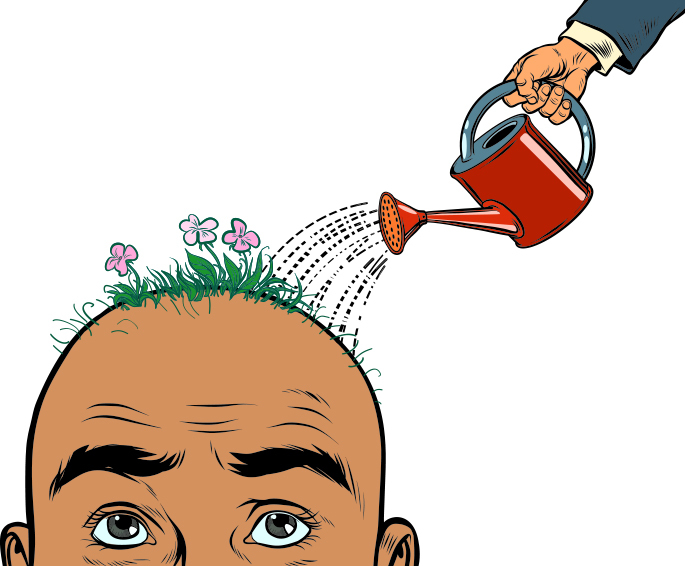 If he could find a way to maintain the Krox-20-producing cells’ activity, Le had possibly discovered how to end baldness and gray hair forever. WHY WE LOSE OUR HAIR: Krox-20 hair follicle cells are eliminated. Le’s work has gained the attention of the scientific community. It seems that only he could have happened upon such a discovery — while neuroscientists who study Krox-20 aren’t studying hair cells, dermatologists who study hair aren’t familiar with Krox-20. Le is both: a scientist, studying a tumor of the nervous system that can manifest in the skin, who also happens to be a clinical dermatologist. “I was in the right position at the right time with the right skill to make the discovery,” Le says. Now it’s on to the cure for baldness itself, which Le hopes will eventually come in the form of a topical medication. That means more research and further testing. Le’s lab is busy, exploring the clinical applications of the Krox-20 discovery while continuing important NF1 research, which is still his long-term goal. Such success can often reward scientists with longer hours and more work.